Dragons have their roots in both European and Asian history, with a very different look between the two of them until the cultures began to trade and interact with one another. Asian dragons tend to be more serpentine with a pair of legs and longer body, while the European dragon has traditionally had more of a pair of wings looking like those of a bat, along with a fuller looking body. 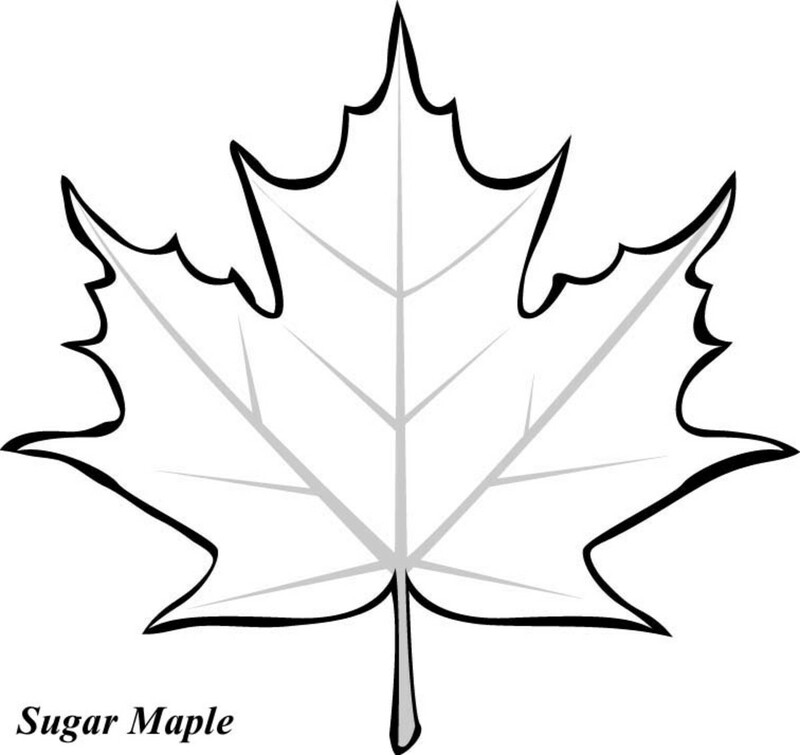 Many of these differences remain in a variety of modern depictions of dragons, but there are a number of designs that incorporate both elements which has resulted in a blending of the two recreations of the mythical creatures. 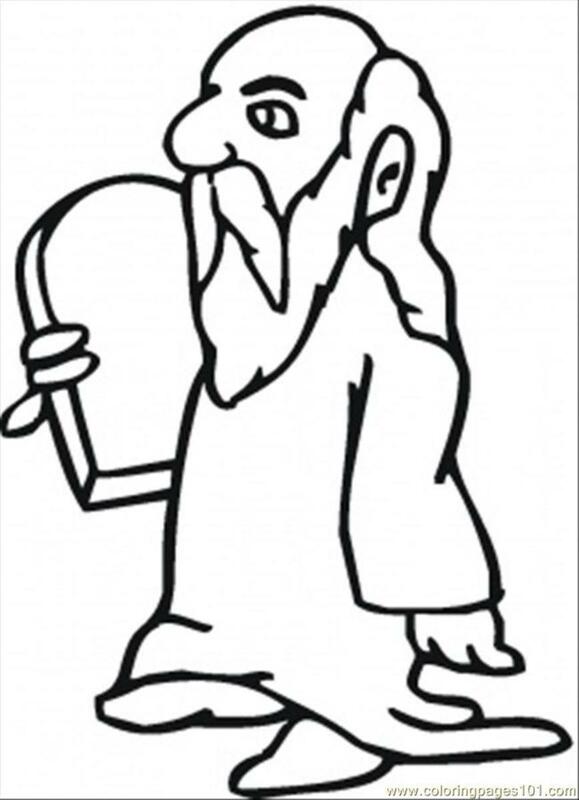 In this group of dragon printable coloring pages, both types are included, although there are more with a European influence more than the Asian, although, as mentioned, the two have merged in many ways, so they tend to have a little of both, although the little artists coloring them in won't be too concerned about that either way. Dragons in the media have been portrayed as friendly, fierce enemies, and in many animated shows a close acquaintance of people. For children, especially boys, dragons are simply cool, and other than one more realistic looking dragon battling a knight, the rest of those in this article are included as having a good disposition, or in various humorous scenes. Children will get a kick out them for sure. Dragon Tales is a popular children's story and TV series where the kids can enter into a fantasy land where they find dragon friends with names like Wheezie, Cassie, Ord and Zak. 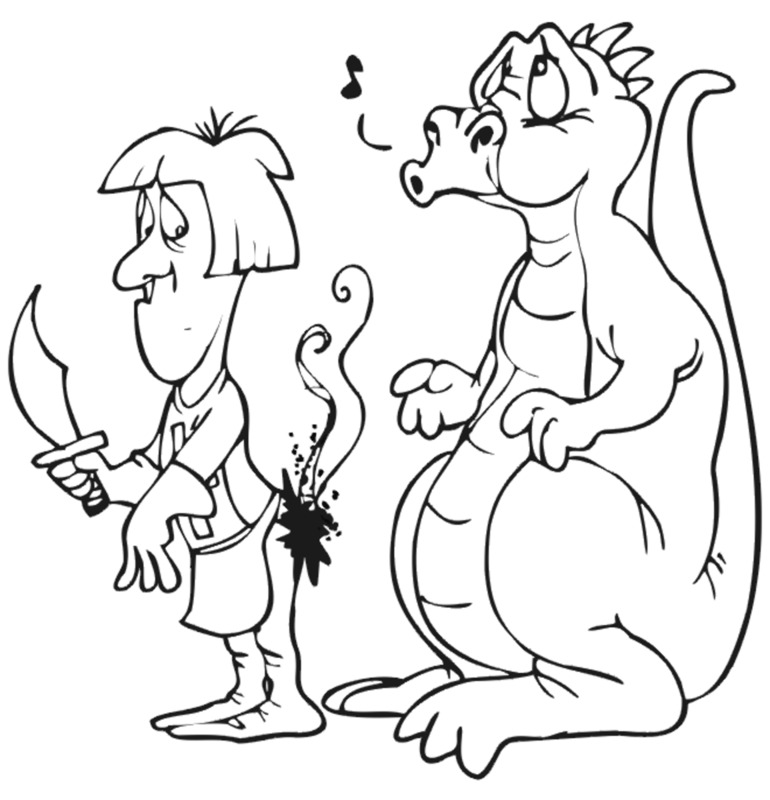 The colorful dragons in the story are terrific coloring material, and the children who know and follow the narrative, will have no trouble identifying and coloring in the Dragon Tales illustrations, such as the one below. 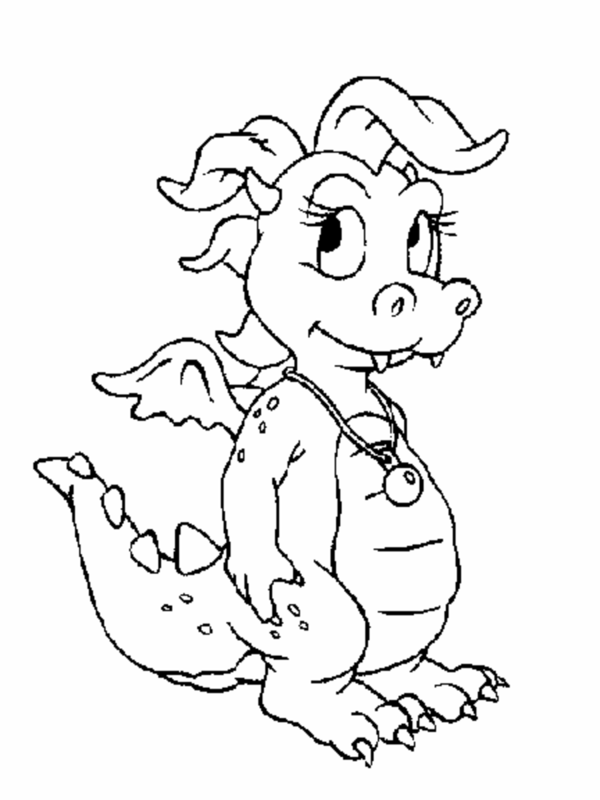 For those concerned their younger children may be frightened by more realistic dragons, those like the characters in Dragon Tales provide friendly images to capture their imaginations and allow them to enjoy the activity. Next is a dragon walking along, apparently ready to blow out some fire at the slightest provocation. 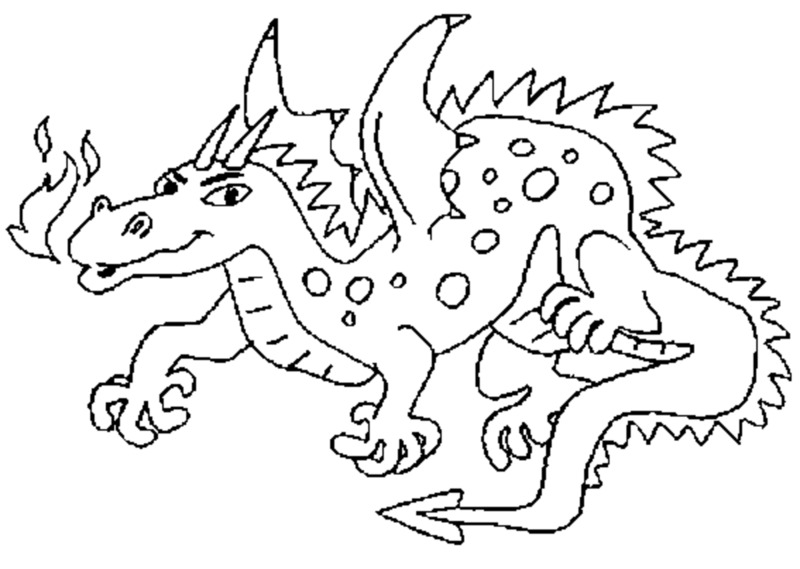 While it is a simple illustration, it does have a lot of things children who love dragons appreciate, such as the horns, spots, spiny back, and of course the flames coming out of its mouth. This is one of those dragons mentioned earlier that have both European and Asian influence. The different areas and parts of the body allow for children to experiment with different colors to make the dragon look like they imagine it to be. There are a lot of children who would really enjoy this picture of a bold knight battling the fire-breathing dragon, as he puts up his shield to guard against the flames pouring out of the dragon's mouth. 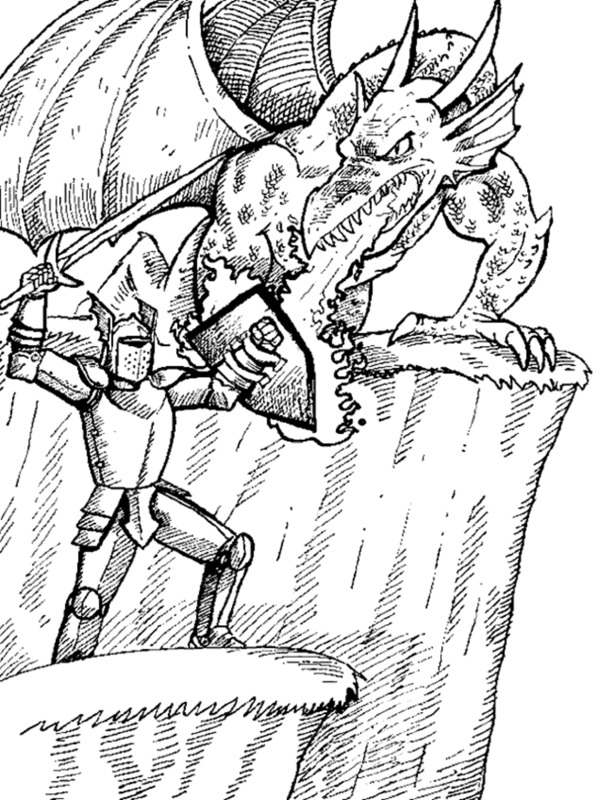 Even though there is some shadow included in this printable dragon coloring page, it shouldn't take anything away from the experience of those children delighting in the battle scene. A lot of children project themselves into the person of this knight, and so feel within that they are the one that is going to battle as they color in the characters. As you can see from the printable below, there are knights and there are knights, as well as there being dragons and dragons. These two characters below are definitely of a different type than the two above. It's hilarious to see the burnt bottom of the knight while the dragon is whistling behind as if there were any doubt as to who it was that singed his behind. Those that are around children of any kind will know they will laugh uproariously at this image, maybe even more than we may think proper. But there is no doubt if they're in a little bit of a sour or down mood, this has a great chance of bringing them out of it. Here there is another fun and humorous depiction of a dragon participating in the enjoyable activity of roasting a marshmallow. In this case it's providing its own heat source, which of course is what makes it so funny to view. The other compelling part of it is the idea that the dragon must totally control its fire or the marshmallow will become over done very quickly, as most of us have experience in our own roasting of marshmallows experience. This dragon is successfully controlling itself, and appears to be happily ready to devour the tender morsel he has so diligently cooked. 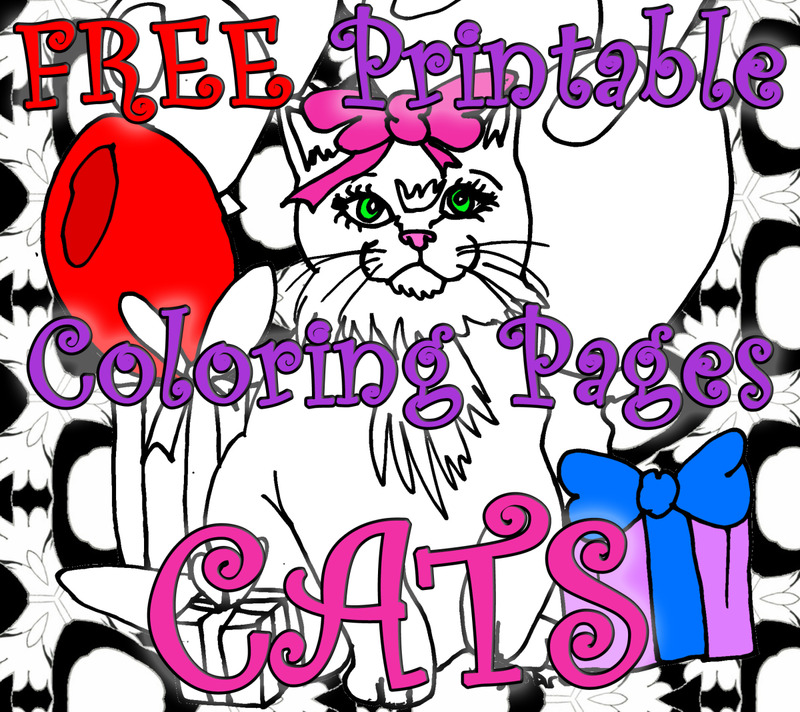 Looking for some dragon printable coloring pages was a lot of fun for me, and the results brought a nice surprise, in that I was expecting a lot more serious dragons and images than those that have been included here for you to download and print out. I think my expectations were that there would be a lot of fierce dragons wreaking havoc on people, rather than the more humorous and wholesome ones that are included here. 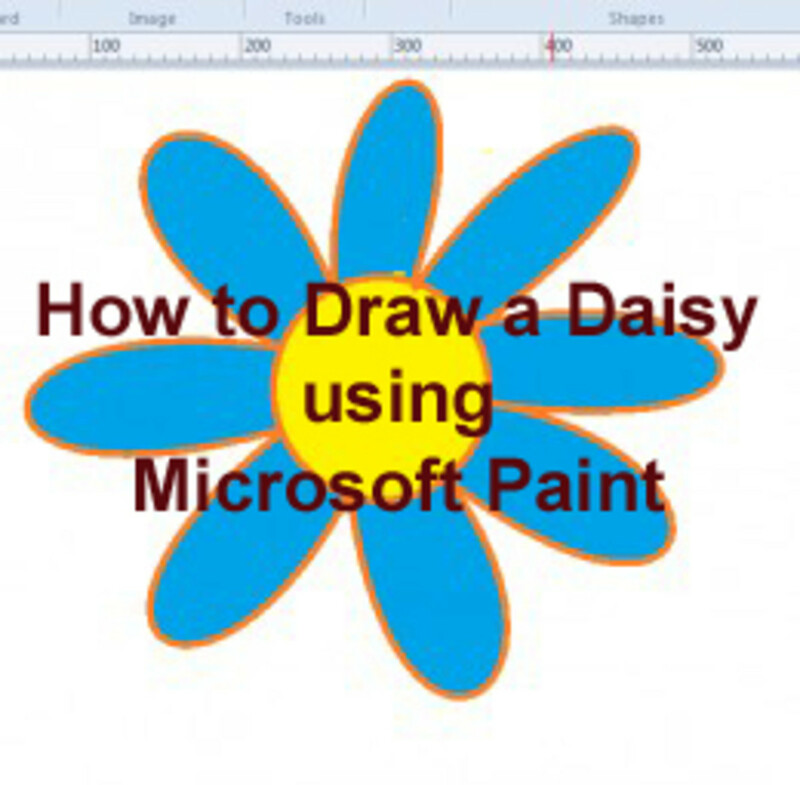 That's not to say that you can't find more of those if that is what the children under your care prefer, and you don't mind allowing them to use those as their printables of choice, as there are many that you can find that are more on the serious side. 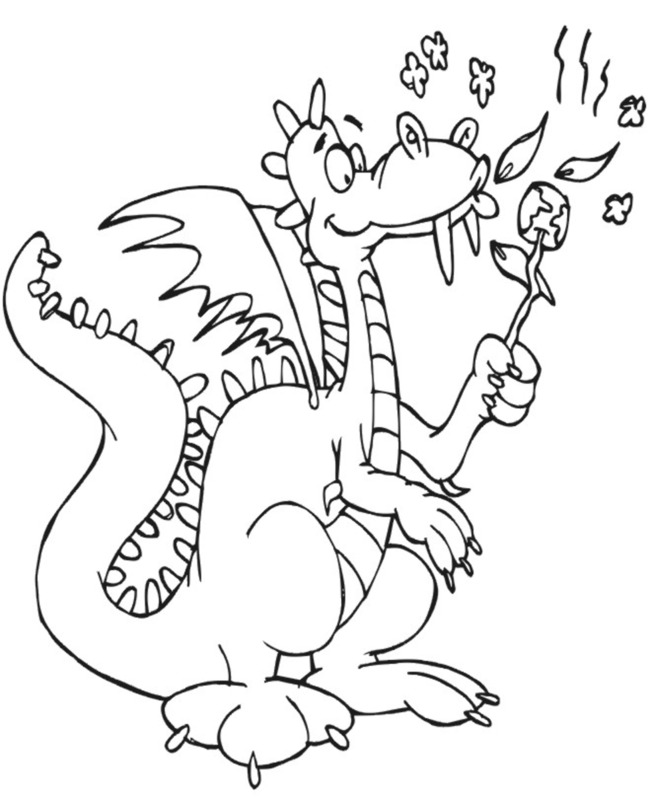 Either way, dragons are a fascinating subject for children, and including them as part of the coloring time of children will keep them busy and fixated on what they're doing. I will tell you the truth. I think that this is an excellent piece of writing. Amazing work. I loved the way you presented your topic. Wonderful graphics.